Originally found in the Caribbean, Southern Mexico, and the West Indies, the slow-growing tree from which allspice is derived is now commercially grown in Central America as well. This essential oil is extracted through a steam distilled method from the leaves and fruit of an evergreen which can grow up to 30 feet in height. 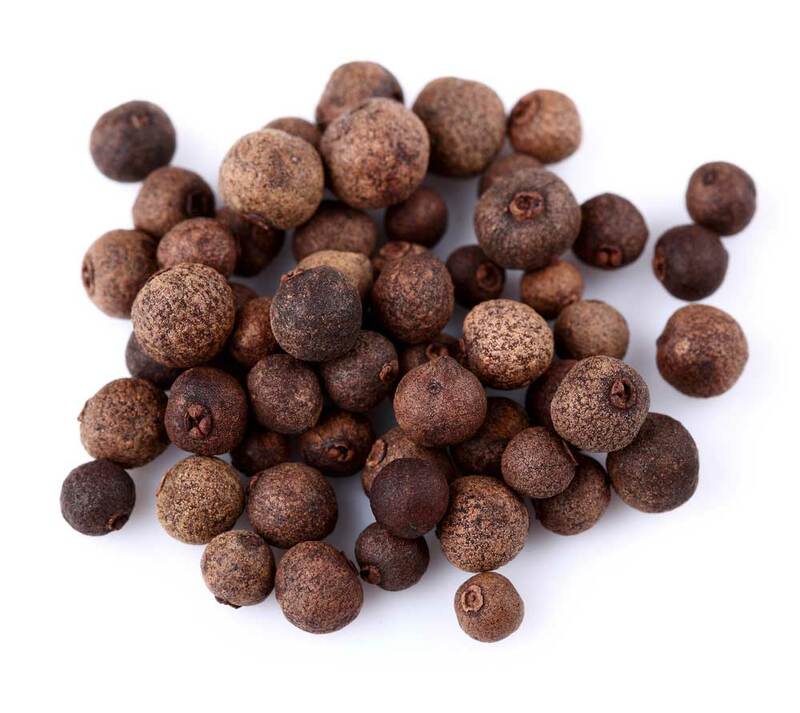 The aroma of allspice is described as spicy, fresh, and warming. It is also comparable to the scent of cloves and cinnamon. This essential oil blends nicely with sweet orange, spearmint, black pepper, patchouli, lavender, ginger, geranium, as well as clove and cinnamon. If applied topically, this essential oil is good for treating insect stings and bites, joint pain, and muscle injuries. It can be applied full strength or mixed with another essential oil. Due to its antiseptic properties, it is also used on minor wounds. Up to four drops in your favorite diffuser not only makes a room smell great, it also helps relieve tension and stress. Up to a couple of drops mixed with four ounces of fluid creates a drink high in antioxidants, which can fight against certain types of cancer, nervous disorders, hearing and vision loss, hair loss, and weakening of the muscles. The same drink can also help to relieve digestive problems, and assist in the battle against insomnia. Avoid contact with sensitive areas such as inner ears or eyes. If you are under a doctor’s care, nursing, or pregnant, consult a physician before using. Always keep out of reach of children. Some individuals with sensitive skin may have reactions to certain essential oils, including allspice.